A year-by-year graphic timeline of Jewish history from Creation to the present. Complete with eras, personalities and events. 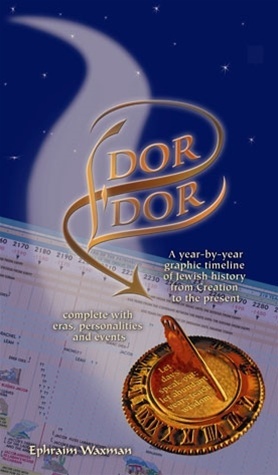 Dor L'Dor is a comprehensive graphic chart in brilliant color, which accurately presents numerous eras and diverse dating systems; Yovel and Shemitah cycles; famous personalities and renowned events. Its year-by-year layout and unique format is pleasant, clear and concise. It instantly presents the reader with a thorough snapshot of any given year from the time of Creation to the present. Dor Lâ€™Dor is an invaluable aid for the educator, scholar and layman alike. 60 heavy-duty accordion pages, with a 20 page userâ€™s guide.